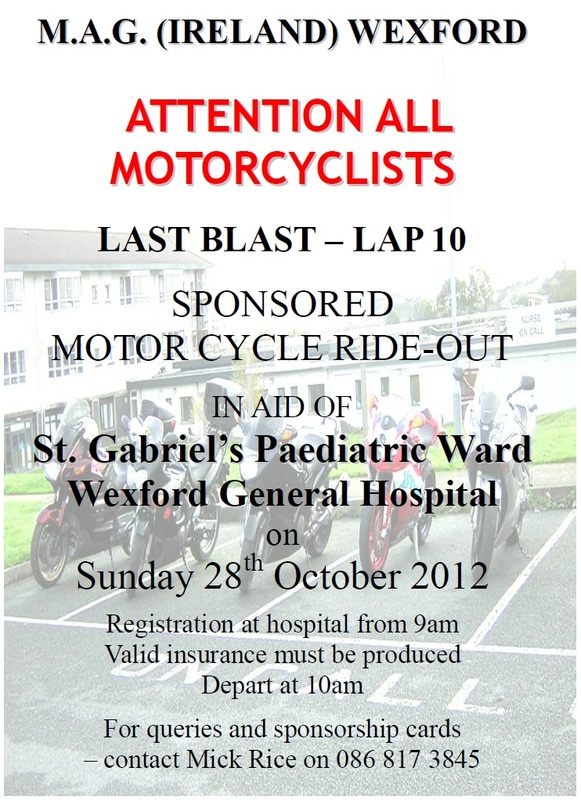 Sponsored Motorcycle Ride-out in aid of St. Gabriel’s Paediatric Ward, Wexford General Hospital. Registration at hospital from 9am. Valid insurance must be produced. This is our 10th year and to date we have raised in excess of €130,500.00. 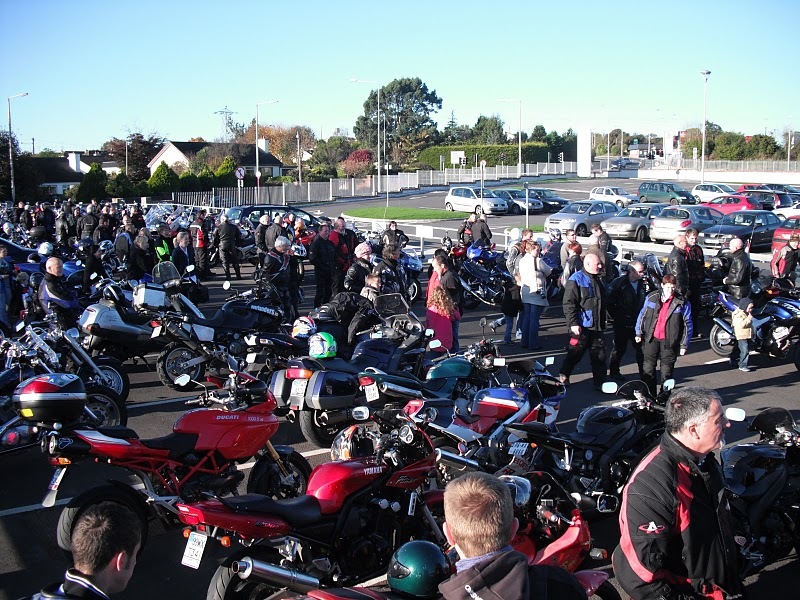 As on previous years the ride-out will depart from Wexford General Hospital at 10am via New Ross, Clonroche, Enniscorthy, Gorey, Kilmuckridge, Blackwater, Curracloe with collections en-route. 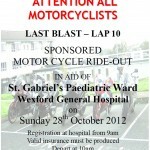 We will end with a lap of Wexford town and finish at the hospital. For queries and sponsorship cards, contact Mick Rice on 086 817 3845.